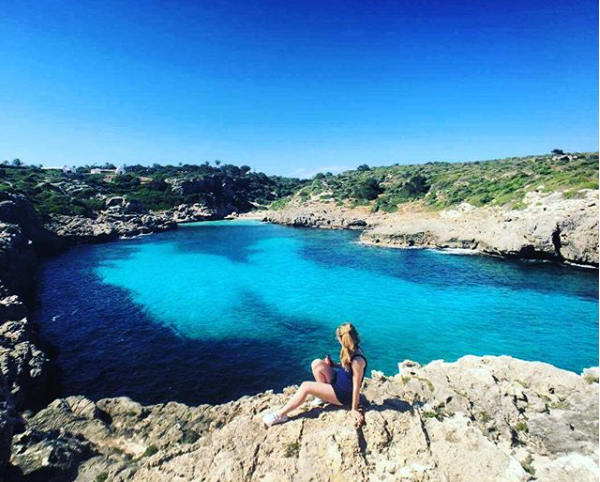 If you know me, you’ll know that the beautiful country of Spain has a special place in my heart, and that it is my go-to place for a beach holiday, city break, adventure trip or just about any kind of getaway you can think of. As someone who has visited Spain 15+ times over the past 20 years I can say with certainty that is my favourite country in the world, and I love finding things off the beaten track that aren’t in the tourist brochures or the travel guidebooks. 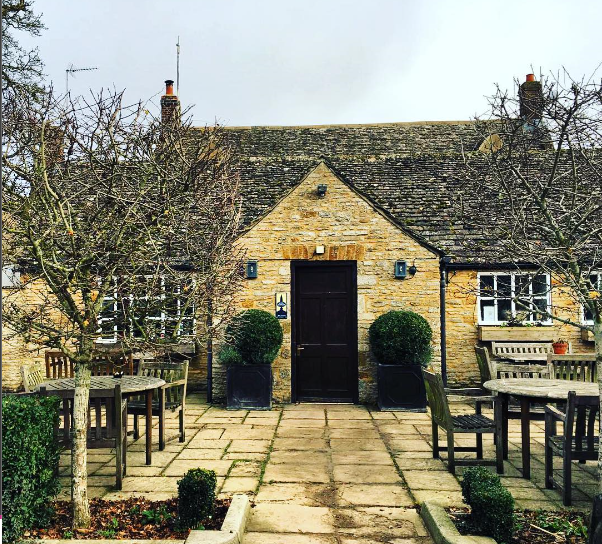 So when tour operator Holiday Gems challenged me to put together a list of top hidden gems from my favourite country, how could I say no?! 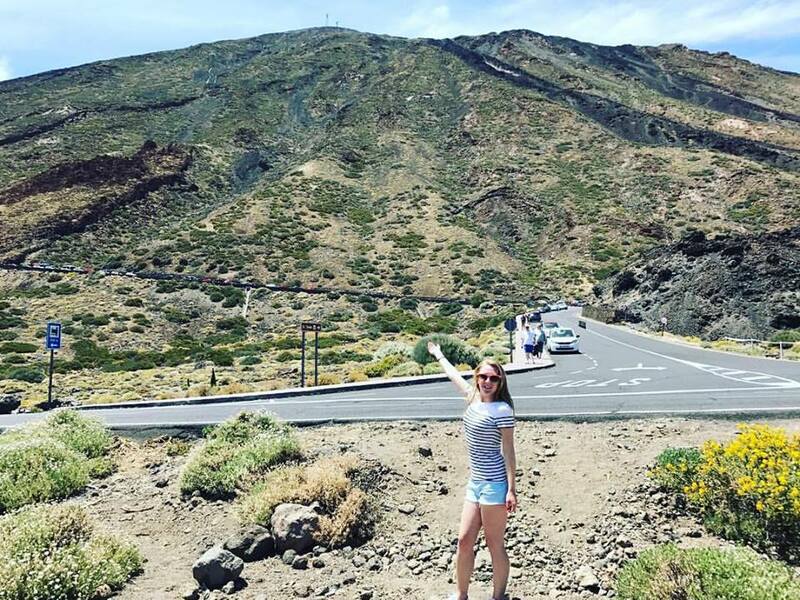 If you’re a bit of an adventure seeker and would like to swap a day by the pool for a day hiking a mountain, the magnificent Mount Teide is definitely the place to be! Teide can be climbed, hiked, or walked around slowly if time is no issue, and it is the third highest active volcano in the world. As expected, Tenerife is warm all year round which makes it difficult to hike the mountain, so there is the option to take a cable car up to the summit which is a welcome alternative. I hiked around the base of the mountain on my visit last summer, but I heard the views from the top of the cable car were absolutely STUNNING so next time I would definitely choose this option instead. Whilst at Teide, I would also recommend making a pit stop at the nearby Los Roques de Garcia, a UNESCO world heritage site with rock formations that are over 170,000 years old. The rocky landscapes were incredible and made for the most amazing, Instagrammable photos – the whole place looked like something out of an ancient western movie and we instantly felt transported back in time! Is there anything cooler than a bar built into a cave? I think not! 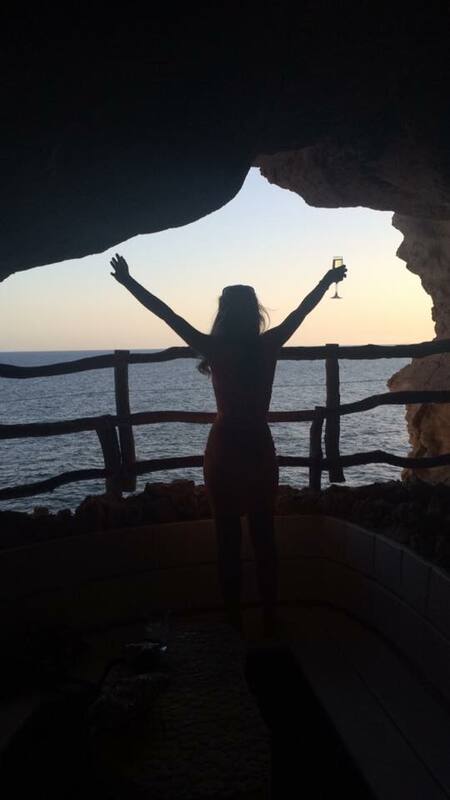 The fabulous Cova D’en Xoroi is listed as one of the best bars in the world, with a fantastic selection of food and drink to choose from, and plenty of seating areas dotted all over the cave. The most magnificent sea views can be found from the front of the cave, and guests are encourage to arrive at dusk, just in time to watch the sun go down as it sets over the sparkling ocean below. After dark, the bar turns into a nightclub with DJ playing an eclectic choice of music for adults to let their hair down and dance until the early hours. If the idea of a bar in a cave wasn’t impressive enough, the myth behind the building is truly magical and gives an added sense of historic mystery to this epic place. Legend has it that a man named Xoroi survived a shipwreck and washed up into the cave where he took refuge from the dangerous seas. At the same time, a local girl from the village went missing and was never to be seen again. Months and years passed by, until she was eventually found alive and well in the cave, with Xoroi and three children, the fruit of their love. Finding himself cornered by the people who found him, Xoroi threw himself into the sea where his eldest son followed him. Both men were lost under the waves and their bodies were never found. Devastated, the girl and her two children were taken to another nearby village where they started to rebuild their lives without their family. 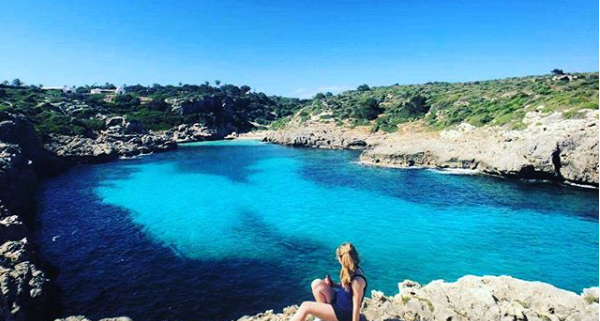 A trip to Cova D‘en Xoroi is an absolute must when visiting Menorca and I would recommend it to anyone looking for something different to do on their holiday. A visit to the White Isle usually consists of sun, sea, sand, alcohol and lots of partying until the early hours. Thousands of tourists flock to the biggest clubs, the best beaches and the busiest bars for a week of dancing, drinking and tonnes of fun. However, I discovered a totally different side to the island during my most recent visit a few years ago when I stayed at the quiet resort of Es Cana and took a day trip to the Old Town. Brimming with history, the cobbled streets, ancient walls and natural beauty of the Old Town can be found in abundance and is one of the most visited areas in Ibiza. 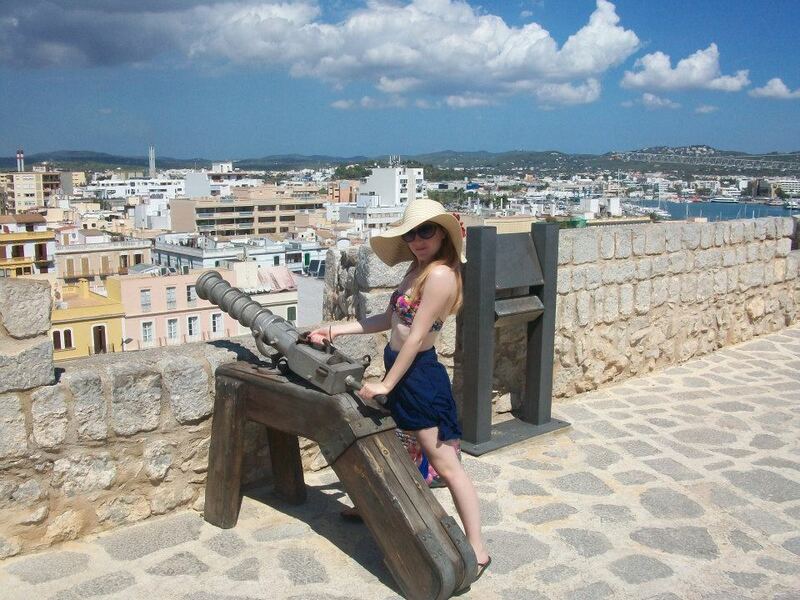 Why not spend some time walking along the city walls and finding the old war cannons? Or wander down by the sea front and watch as the sun glistens on to the sparkling turquoise waters. A trip to the Old Town is an absolute must when visiting Ibiza, and you won’t be short of things to see and do here. I stumbled across this place whilst on a family holiday to Majorca a few years ago, where I was staying in the vibrant resort of Puerto Pollensa. The Pine Walk is the busiest part of the resort and is where the nightlife really comes alive, with loads of cosmopolitan cocktail bars, traditional Spanish restaurants and pretty little shops. It is quite a large entertainment district with many pubs and lots of places to eat and drink, and typically there are lots of tourists here but it is fun, it is lively and it offers lots of things to see and do. You’ll find street performers, sand sculptures, caricature artists and pretty much every kind of entertainer or performer you can think of. 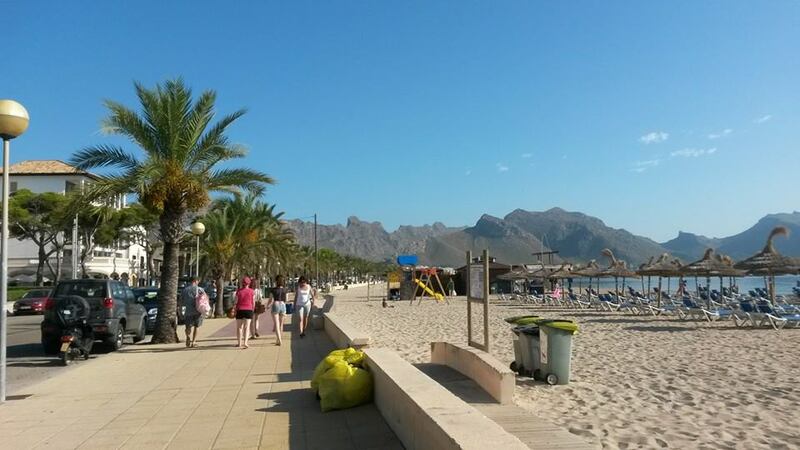 Set back slightly from the beach, and just away from the main road, the Pine Walk enjoys the perfect position just from which to allow visitors to enjoy a different area of Puerto Pollensa. Located right on Las Ramblas, in the heart of the city, St Joseph’s Market is one of the hidden gems of Barcelona and is a hit with locals and tourists alike. Stocked with a colourful array of fresh fruits and vegetables, a variety of meats, fish and cheeses, as well as sweet treats like cakes, smoothies, ice creams and much much more, this undercover market offers plenty of things to buy. 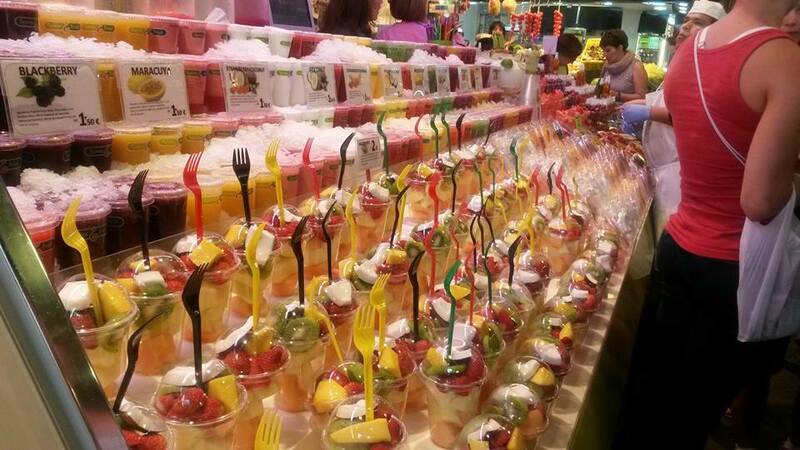 Why not wander around Las Ramblas with one of their enormous ice creams, or grab a bargain and take some local produce back for your loved ones at home? There are also a variety of souvenirs and Barcelona merchandise on offer too. Whatever you decide to purchase, you can guarantee you’ll pick up a local, authentic token from the Catalonian capital. So as you can see, these are just a few of the less known landmarks that can be found across sunny Spain, but there are hundreds more just waiting to be discovered! 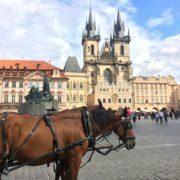 If you’re looking for a cheap, last minute getaway to this beautiful country, why not browse the Holiday Gems website to see if you can grab a bargain; I challenge you to see if you’ve found a much cheaper holiday? Have you been to Spain before, and if so where was your favourite city? Get in touch with all your Spanish stories as I would LOVE to hear them! NB. This was a sponsored post in partnership with Holiday Gems but, as always, all thoughts, words and photos are of course my own. 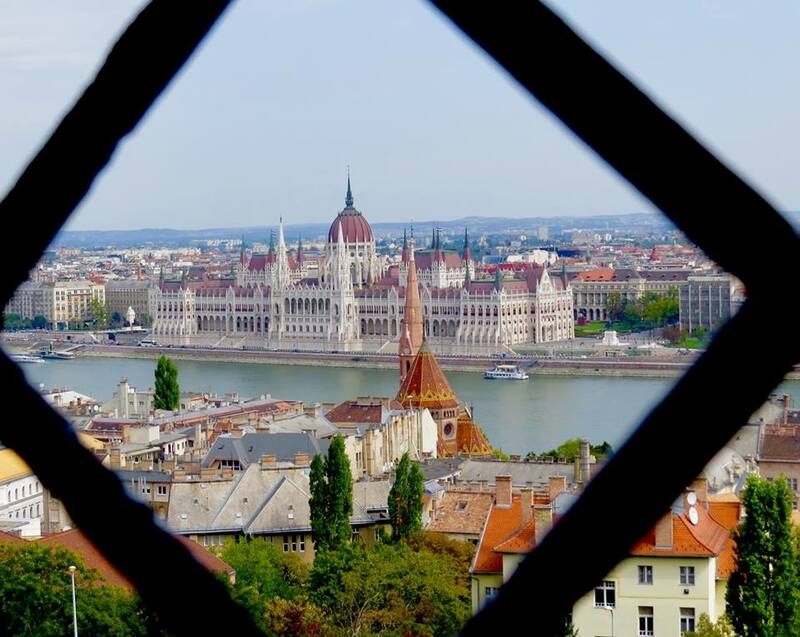 How to plan your European interrailing trip on a budget Sick of stressful airport travel? Ride in style with National Express!